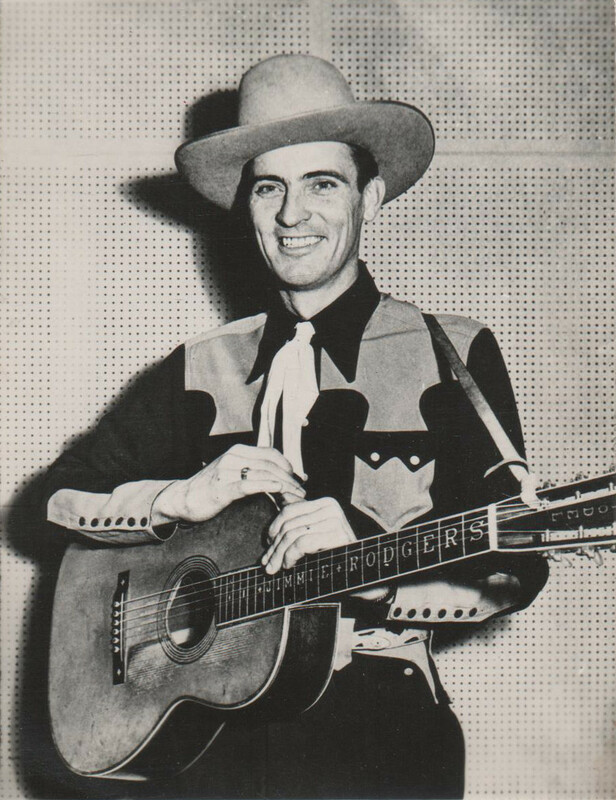 Riley Puckett in the late 1930s or early 1940s. His most frequently published portrait. 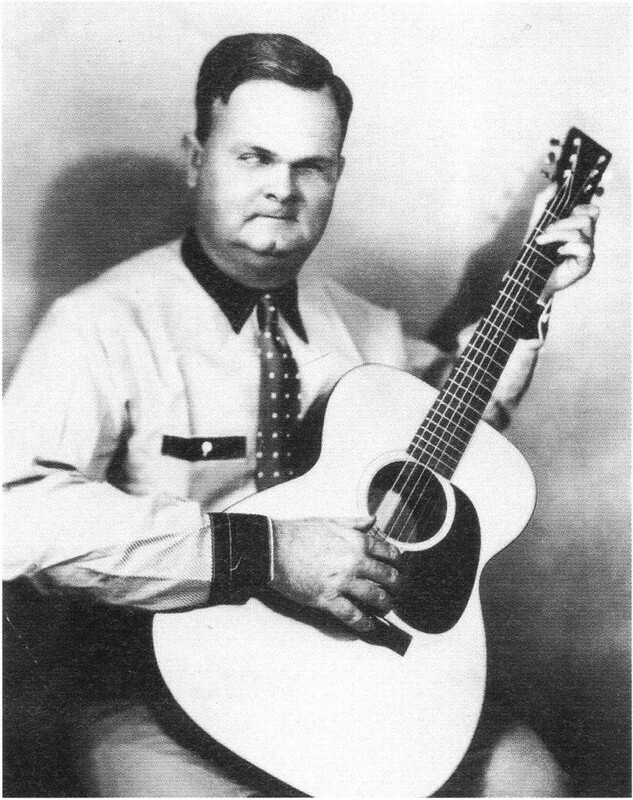 With euphonious singing voice, enticing guitar playing, and a wide and diverse repertoire ranging from old folk ballads to modern pop songs, Riley Puckett, dubbed the “Bald Mountain Caruso” or sometimes “King of the Hillbillies” (an honorific contested by Uncle Dave Macon), was one of the most popular and prolific rural musicians of the pre-World War II era, both solo and as a member of Gid Tanner’s Skillet Lickers. George Riley Puckett was born either in Alpharetta, Georgia or thrity-five miles away in Dallas on May 7, 1894. He was blinded in infancy by a treatment for an eye infection gone awry, though those who knew him suggested that he could still tell light from dark. 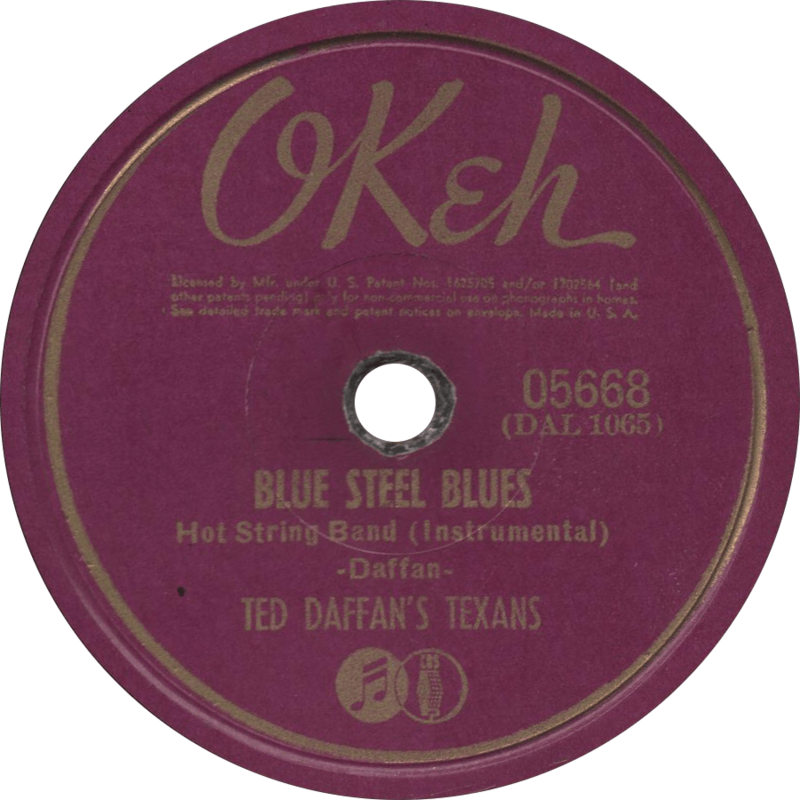 Subsequently, he attended the Georgia School for the Blind in Macon, at which Blind Willie McTell would later enroll. Taking up the banjo at twelve and later switching to guitar, Puckett soon made a name for himself at fiddler’s conventions with his playing and singing, his beautiful voice and exceptional range earning him the nickname the “Bald Mountain Caruso”. He was also noted for his unique method of guitar playing, relying on dynamic runs. On September 28, 1922, Puckett made his radio debut with Clayton McMichen’s Home Town Band on Atlanta’s WSB. 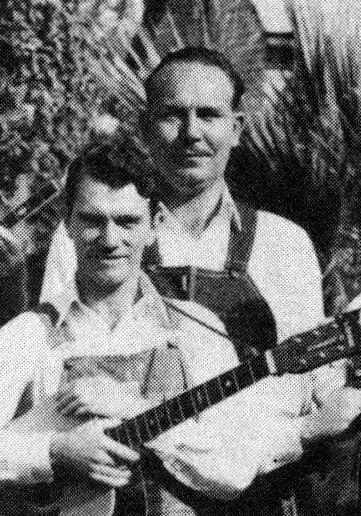 In February of 1924, Riley Puckett and fiddle player Gid Tanner cut test recordings for Columbia, and in March they pair traveled to New York to record for the first time in two sessions. 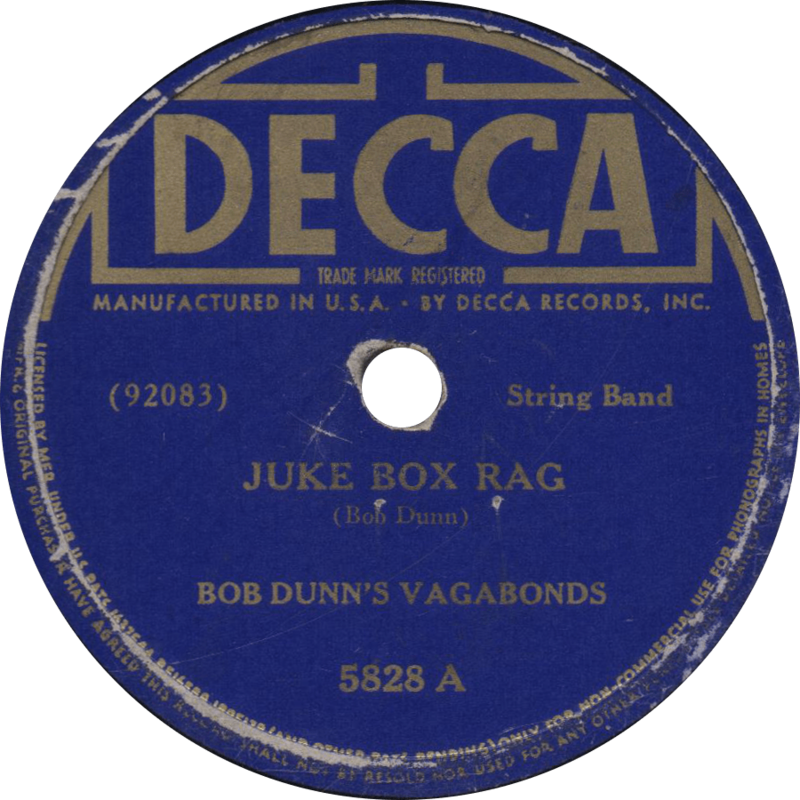 His “Rock All Our Babies to Sleep” has often been cited as the first “country” record to feature yodeling, a full three years before Jimmie Rodgers made his first records. 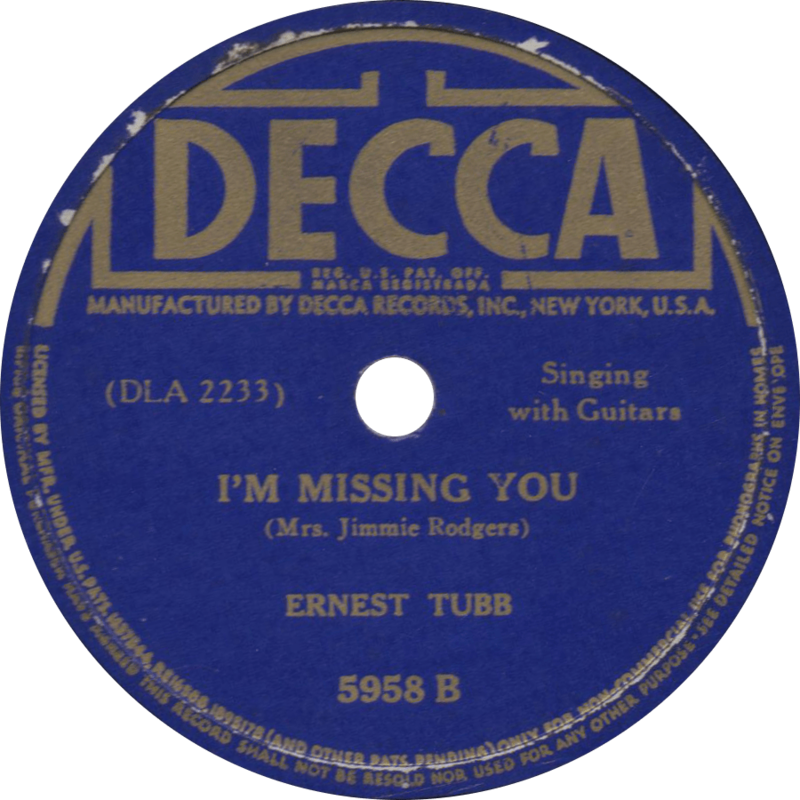 After those two sessions, boy did the floodgates open; from 1924 to 1931, Puckett recorded nearly two-hundred titles for Columbia, notwithstanding the eighty-five plus he made as a member of the Skillet Lickers, with hits like “My Carolina Home” cementing him as one of their best-selling artists in the Old Familiar Tunes series. 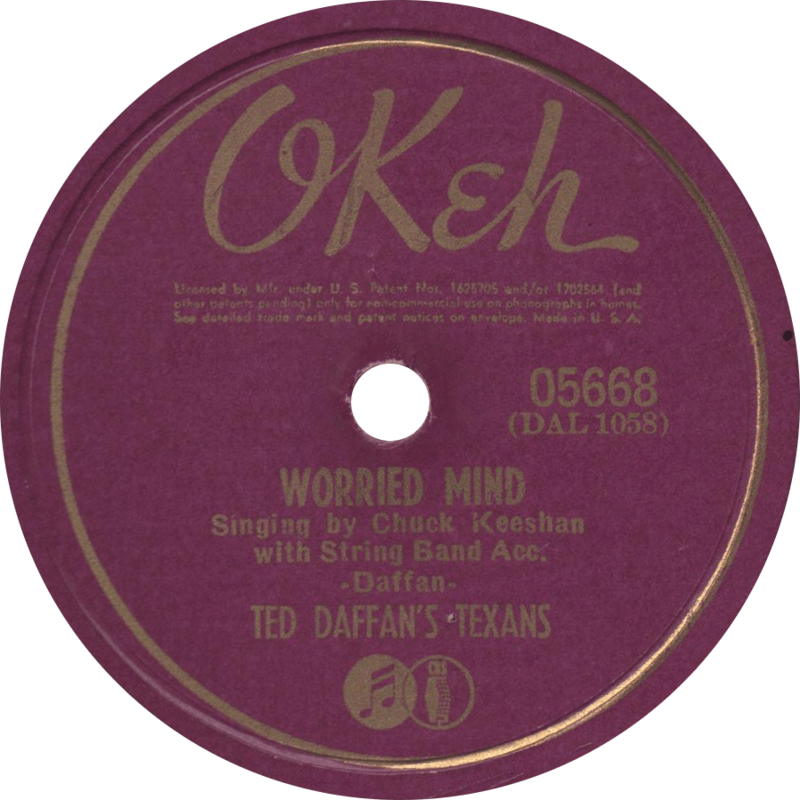 After a break from recording during the Great Depression, Riley made his triumphant return in 1934 when he signed with Bluebird, ultimately producing nearly another hundred titles, including perhaps his best known song “Ragged but Right”. 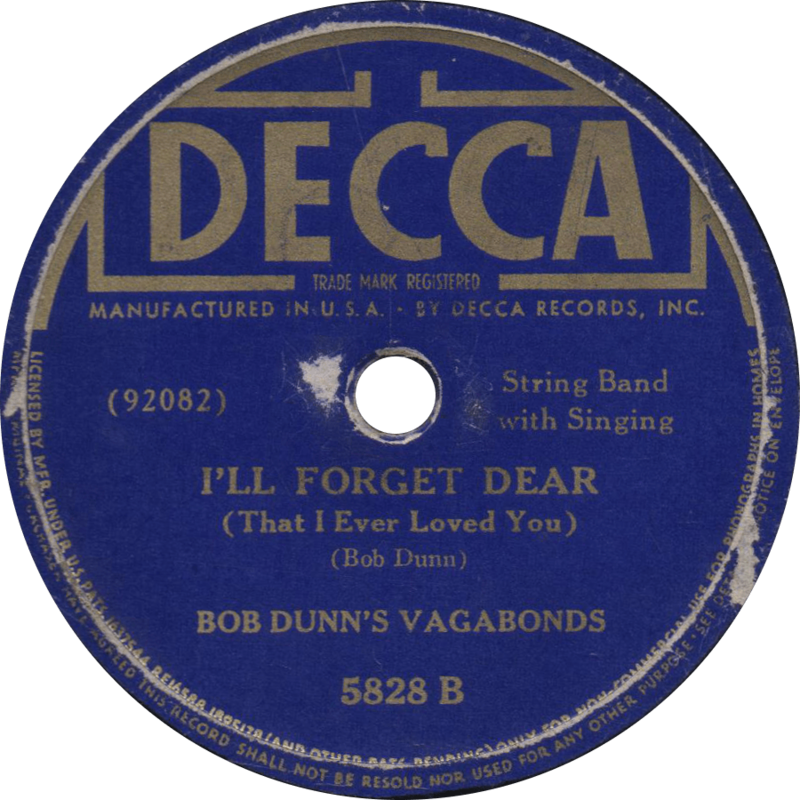 A 1937 side venture took him to Decca for a further twelve. Riley also sang on radio stations all around the South and Midwest; by the end of the 1930s, he was singing on WNOX in Knoxville, Tennessee. After ten sessions for Bluebird, he had his final record date on October 2, 1941 in Atlanta. Riley Puckett died from blood poisoning, the result of an infected boil, on July 13, 1946. Bluebird B-8621 was recorded on October 1, 1940 in Atlanta, Georgia. Riley Puckett is accompanied by his own guitar and an unknown woman mandolin player. It was concurrently issued on Montgomery Ward M-8885. 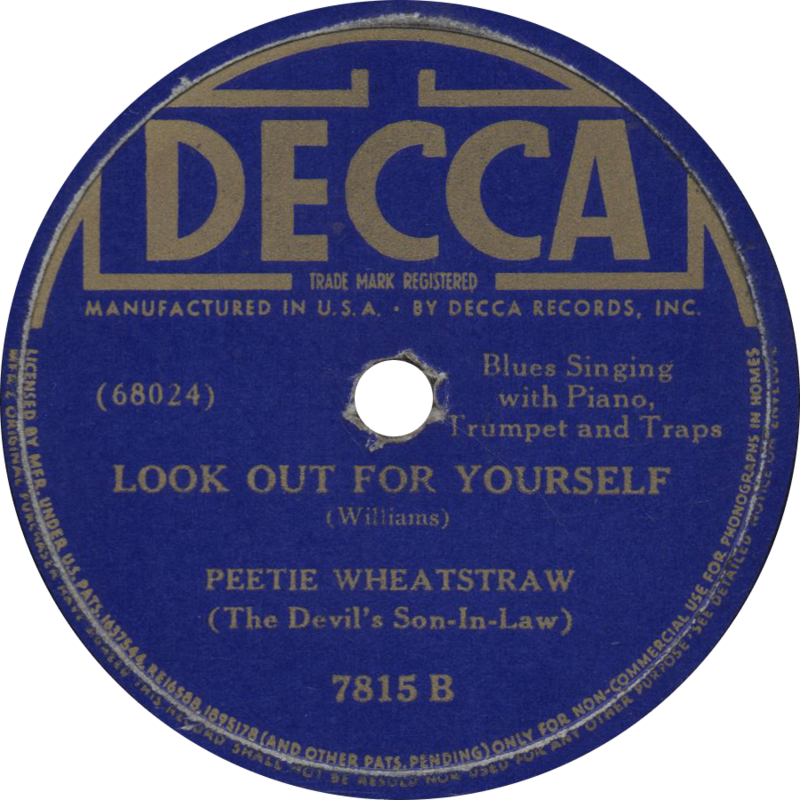 First up, Riley sings one of my favorites, a song that got its start in Tin Pan Alley with Porter Grainger and Everett Robbins’ “‘Tain’t Nobody’s Biz-ness if I Do” in 1922, which through some twists and turns and lyrical adjustments, found its way—perhaps by way of the medicine show circuit—into Southern folk and blues repertoires as “Nobody’s Business” or some variation on that, seeing recordings by Earl Johnson’s Dixie Entertainers in 1927, Mississippi John Hurt in 1928, and many others. 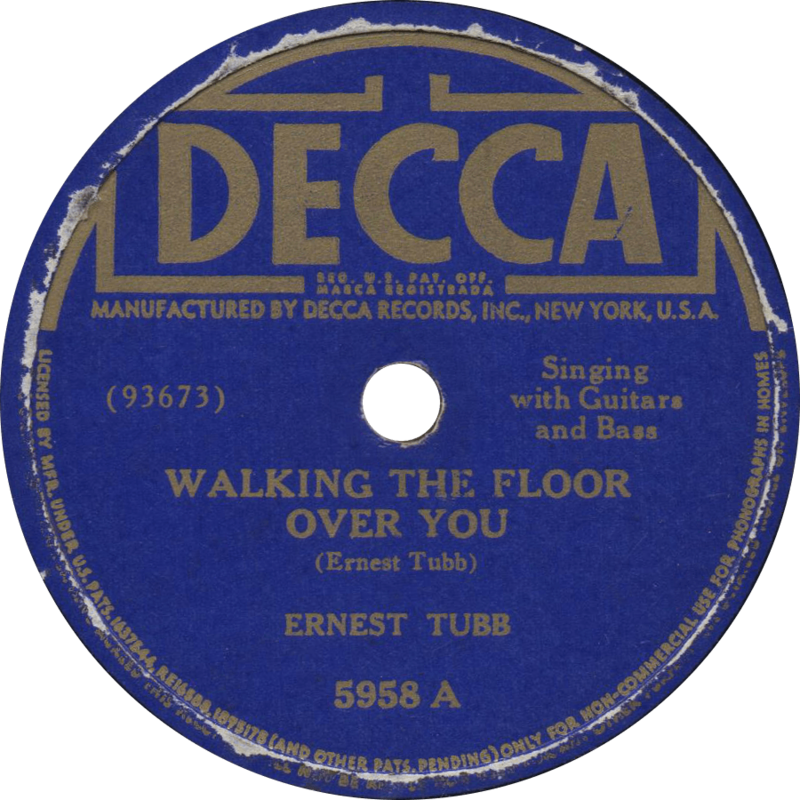 Riley himself recorded it three times, first on an unissued recording for Columbia in 1924, then twice more for Bluebird, in 1935 and—this one—in 1940. 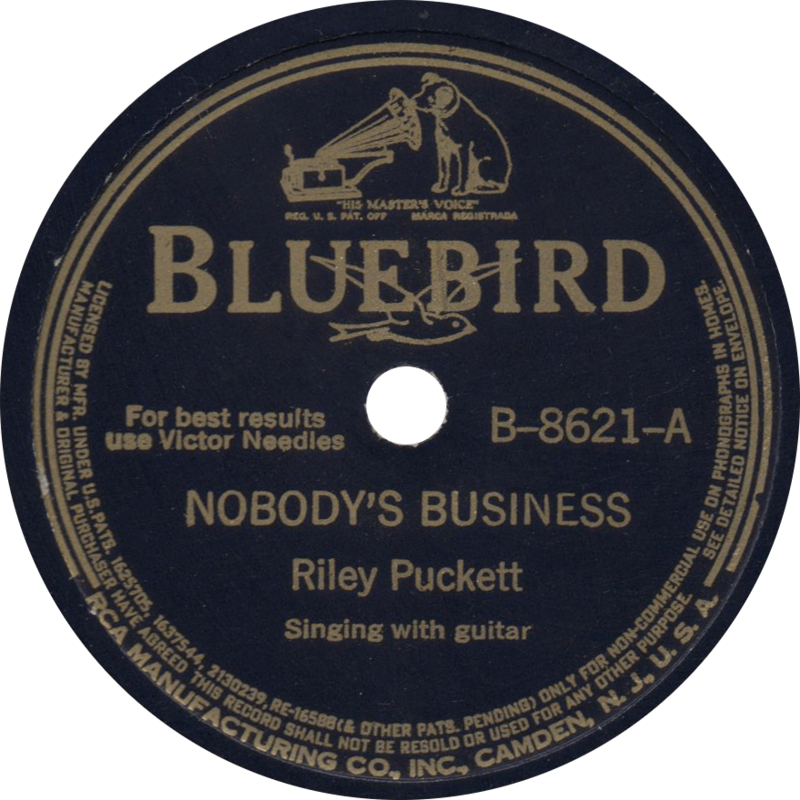 Nobody’s Business, recorded October 1, 1940 by Riley Puckett. 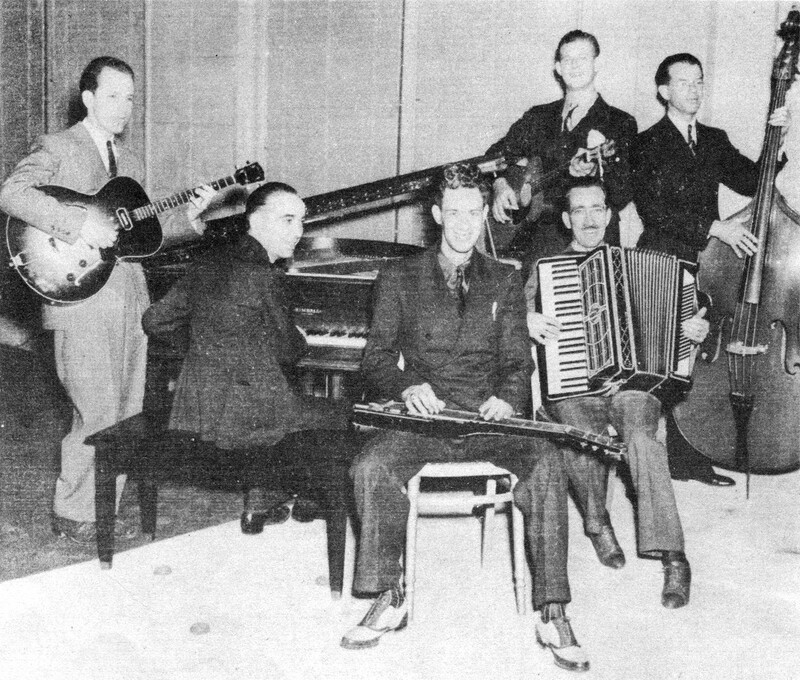 On the flip, Puckett does his version of a popular big band hit of the day, Saxie Dowell’s “Playmates”—the melody of which was lifted from Charles L. Johnson’s 1904 intermezzo “Iola”—and gives a heck of a good delivery to boot. Perhaps I just have my mind in the gutter, but with all the “climb up my apple tree, look down my rain barrel, slide down my cellar door,” this sure sounds like a lot of double entendre to me! 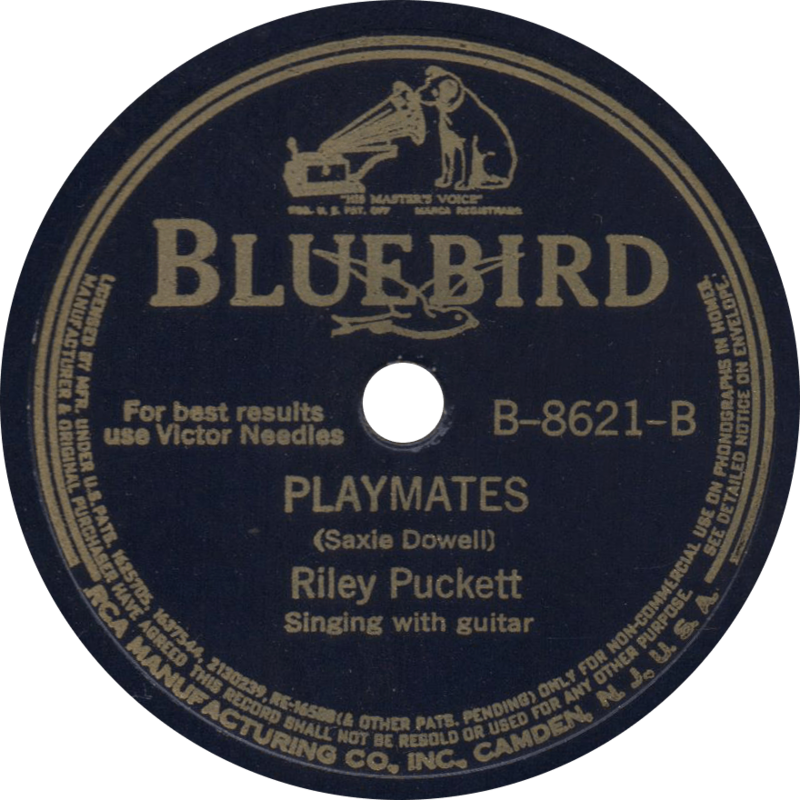 Playmates, recorded October 1, 1940 by Riley Puckett.